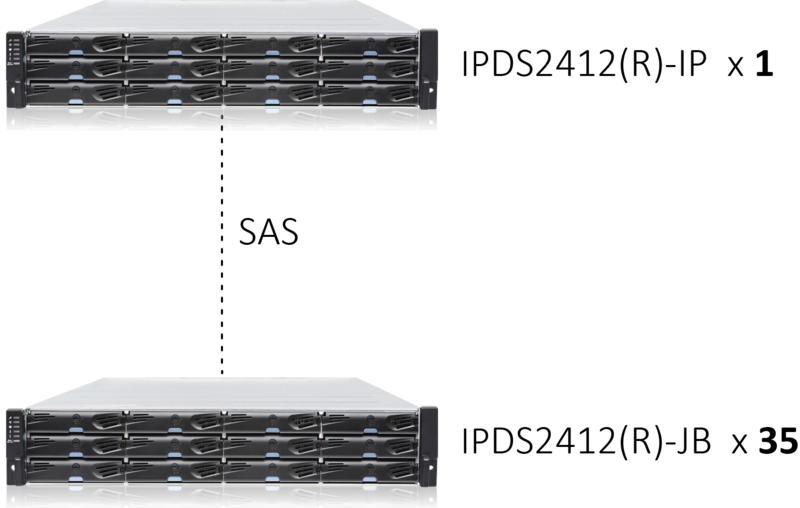 The 2400 series is an upgrade of the successful 2300 series with the difference of increased host connectivity. The connectivity has been increased from 6Gb to 12Gb. See below for more details. 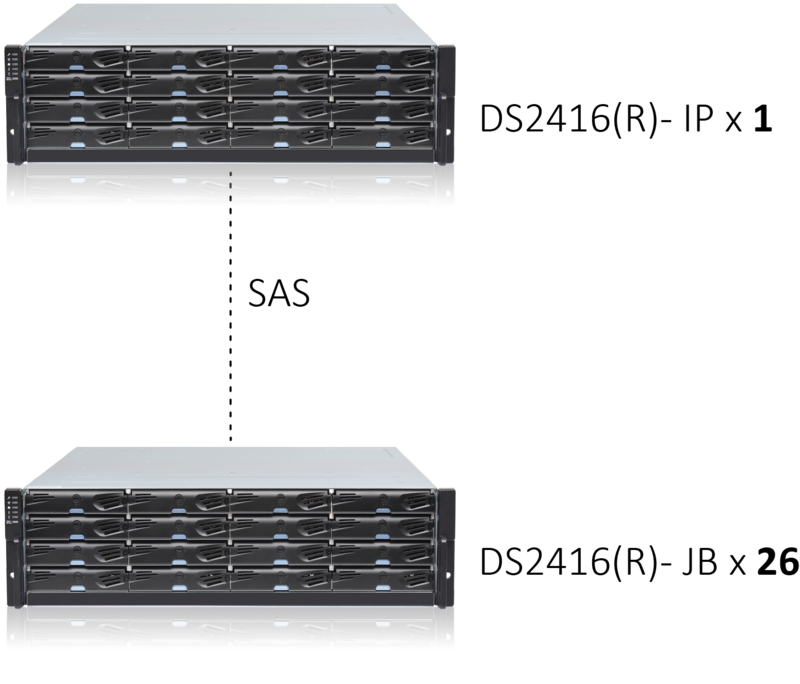 Extended storage units seamlessly integrate between any NVR or Archive Server and extend the recording capacity on an as-needed basis. 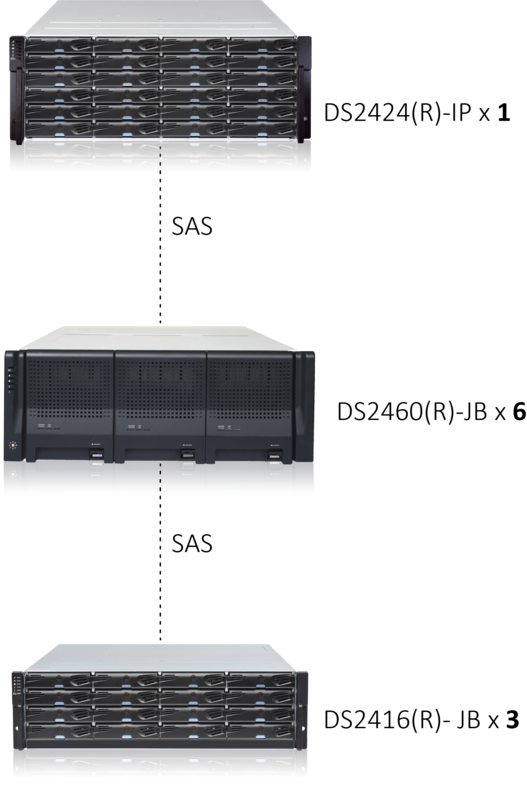 Extended storage units support various RAID configurations and can be stacked together to meet additional storage needs. This extended storage offers up to 32TB of storage at a well priced level. Its power saving technology has been given a green-award and can result in 70% energy costs savings annually. 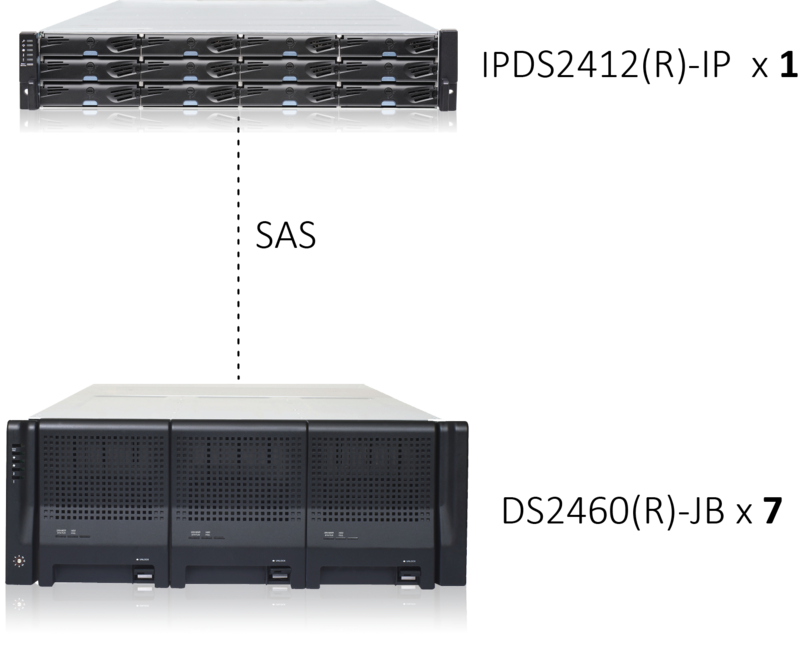 It features a quad-port iSCSI 1GB access with link aggregation. 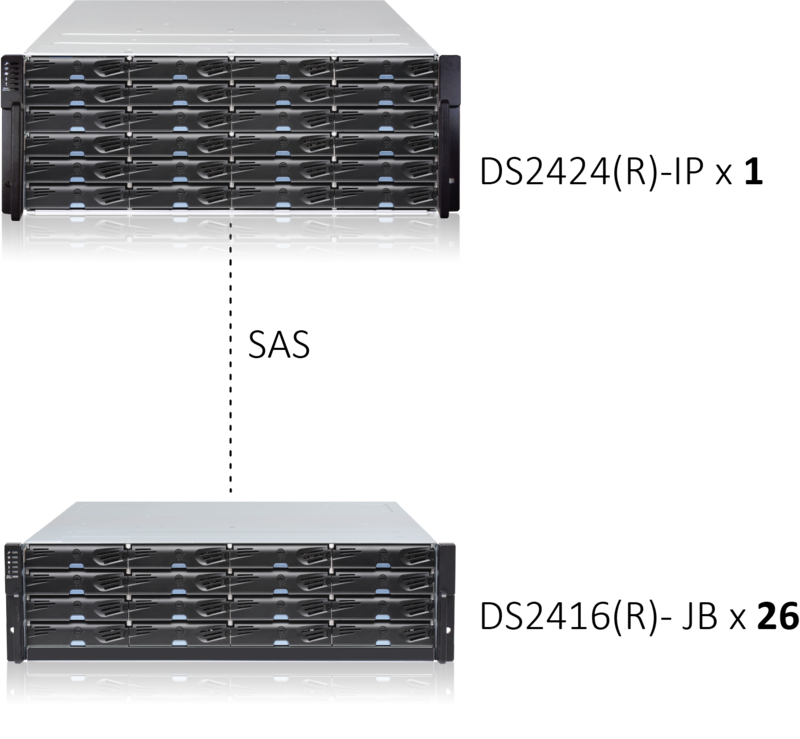 Through SAS expansion ports, each Instek Digital JBOD storage system can connect with robust and high-density expansion enclosures to provide a maximum capacity of 64 SAS drives. Instek Digital™ Serial Attached SCSI II JBOD Storage features the latest SASII (6Gb/s) interface and designed to fit in with the environment which needed highly reliable and relentless data growth. 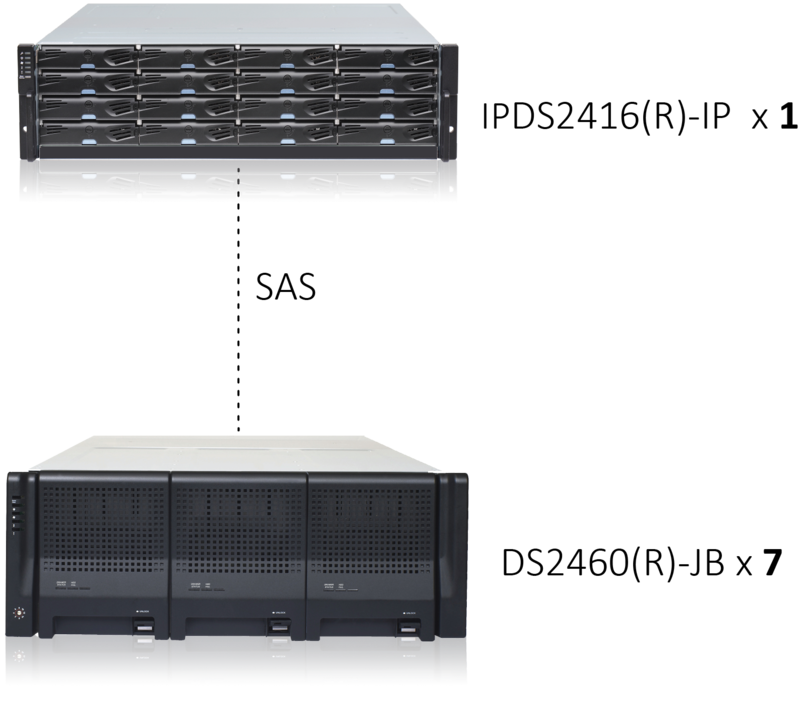 Instek Digital Extended Storage is an affordable extention of additional storage capacity for Instek Digital's NVR and/or archive server. Below overview displays the maximum connectivity between IP SAN and JBOD devices. The maximum number of hard-disc drives for a IP SAN configuration with JBOD is 432. 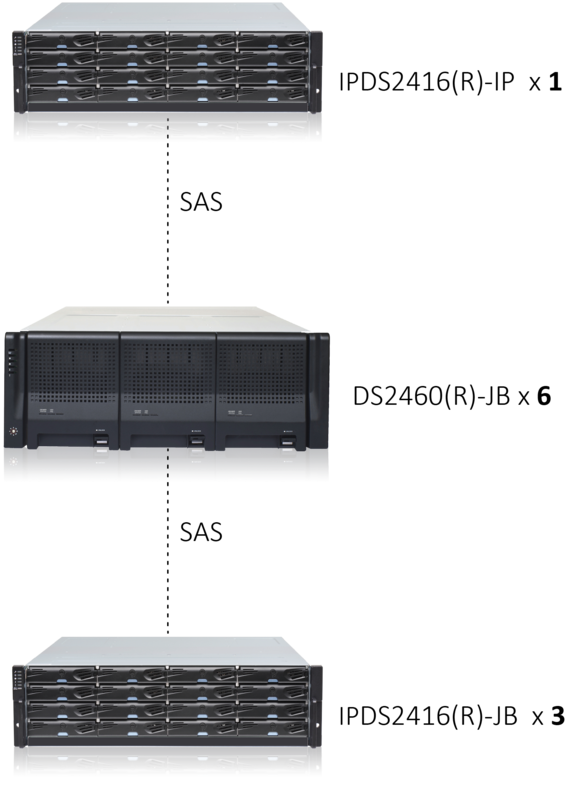 For example a 12 bays IP SAN can be expand with JBOD devices with a total number of 420 hard-disc drives. The maximum number of hard-disc drives for a IP SAN configuration with JBOD is 436. 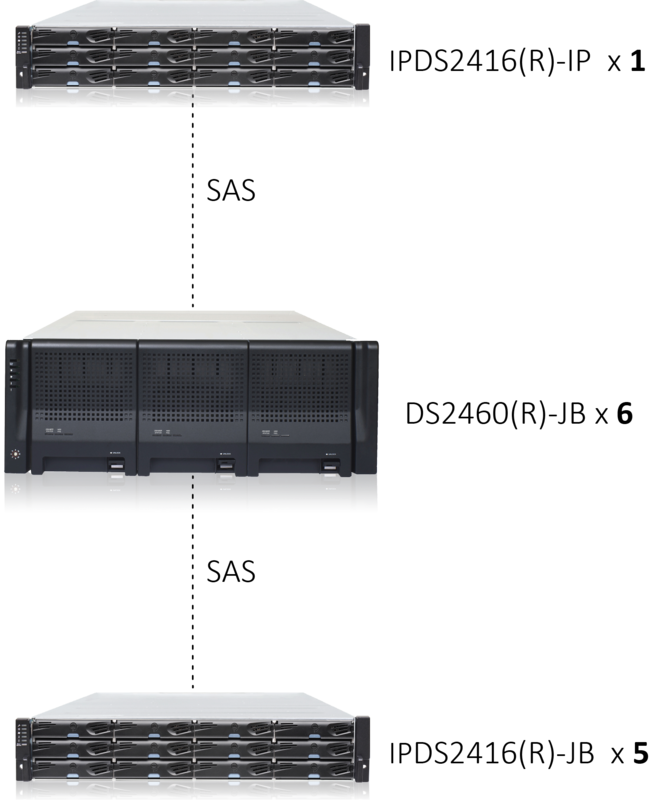 For example a 16 bays IP SAN can be expand with JBOD devices with a total number of 424 hard-disc drives. The maximum number of hard-disc drives for a IP SAN configuration with JBOD is 444. 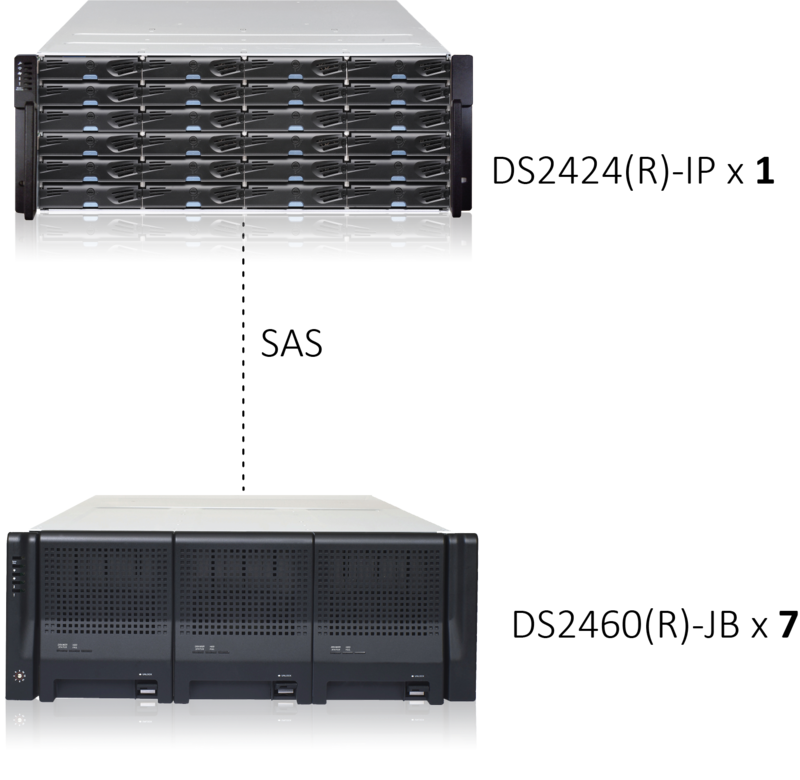 For example a 24 bays IP SAN can be expand with JBOD devices with a total number of 420 hard-disc drives.